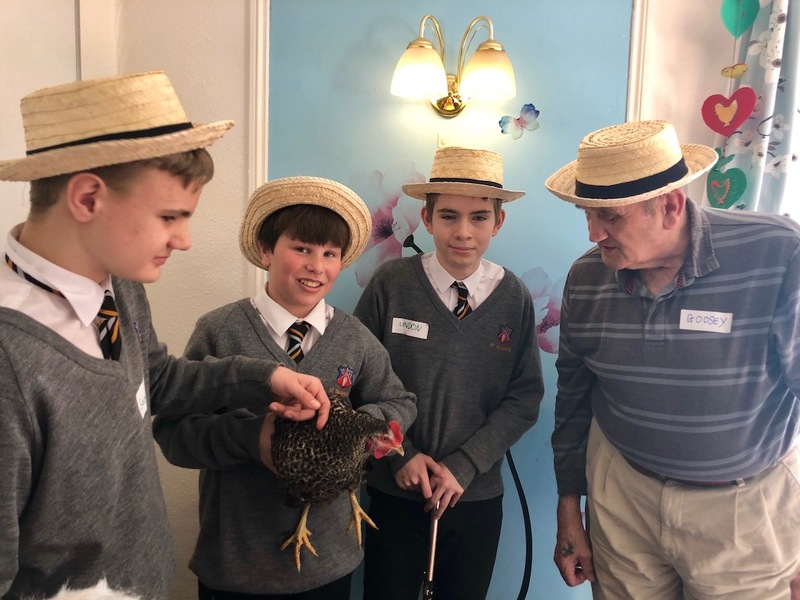 Then, students from the local secondary school St Richards came to visit. 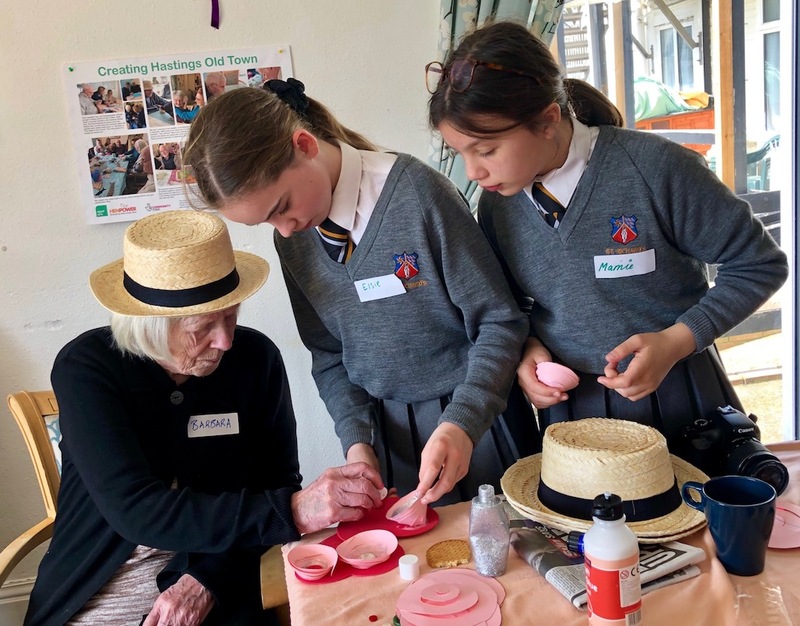 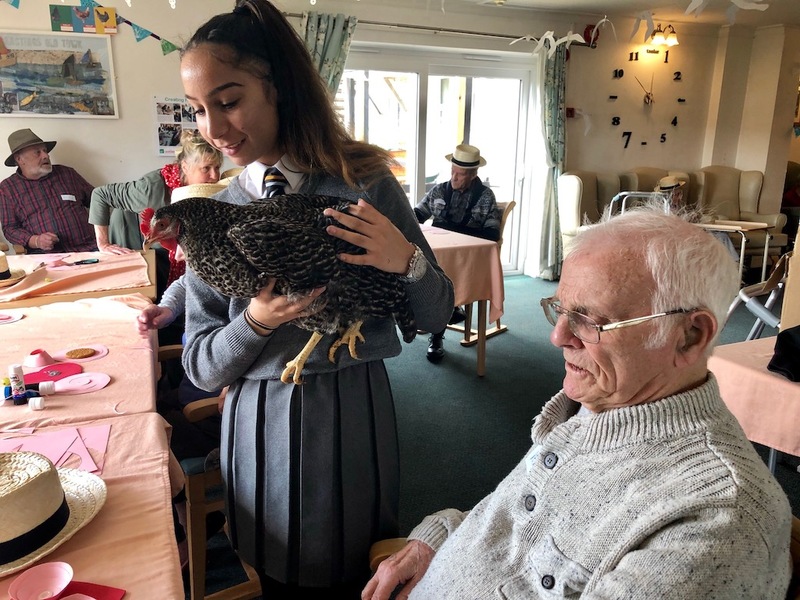 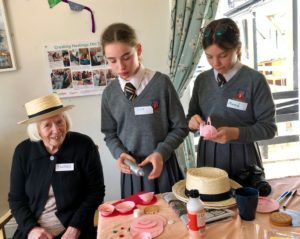 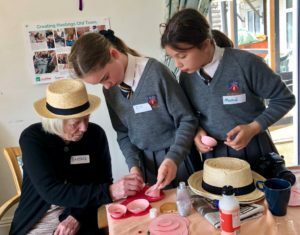 The children helped the residents make some Mother’s Day decorations and had a cuddle with Gertrude the hen. 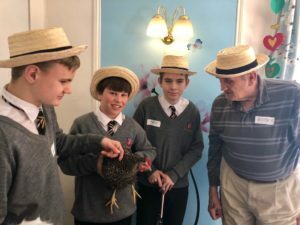 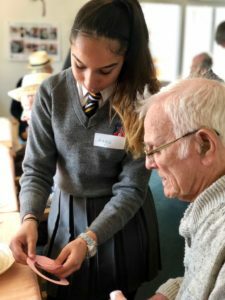 The residents loved having the children to visit – Lionel enjoyed showing some boxing moves and Barbara loved chatting with the students about her granddaughters.